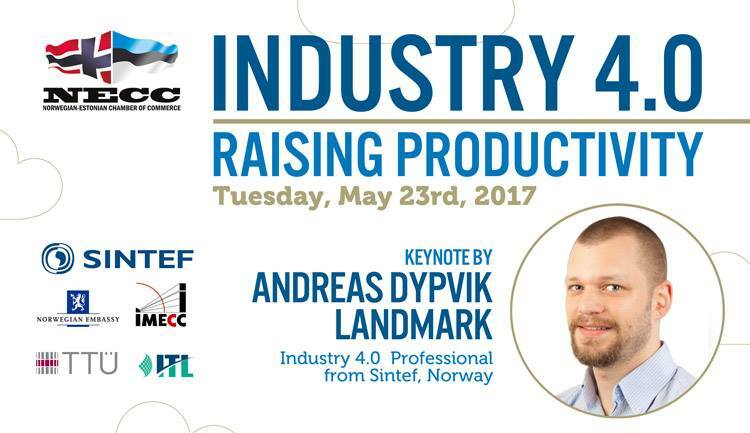 ’Industry 4.0 – Raising Productivity’ seminar with Norwegian and Estonian top Industry 4.0 innovation professionals takes place on Tuesday, May 23rd. Industry 4.0 is regarded as the next generation production framework for the fourth industrial revolution that is about individualized mass production with lower costs and greater efficiency. It is vital to find ways to produce more with lower costs. Let the revolution begin! Come and listen about the Norwegian/Estonian/Scandinavian innovation highlights and possibilities in SAKU GastroPub in Rotermanni. Reserve your seat via Eventbrite! More info is available HERE.